The future shouldn`t appear tragically bleak, should it? It happened. What everyone feared. I bet that none of the Death Eaters wanted this, except Belatrix, of course. The true Magic War is turning around with a new force every day; the number of Death Eaters increases several dozen times every day, but the number of victims who fell under an unforgivable spells in several thousand times. I remember my first kill. They say, such moments you don’t remember, it was kind of blurry. BaId-faced lying and provocation. I remember those eyes of harmless tradeswoman, and I remember her pleading look. She silently begged for mercy, but I waved my wand too uncertainty, cowardly uttering a spell, immediately piercing her chest with a green light. Her devastated, bony body wrapped in old rags continued to lie on the wet asphalt, when I looked into her glass eyes one last time and transgressing. I understood I feel nothing that day. It was as if a human was killed in me, who was able to give emotions. That night I fell asleep very quickly hoping when I woke up I would feel the pain. But that didn’t happen. This was repeated again and again. Satisfaction came to the place of indifference. Thirst for power, death lust. I stopped keeping score of my victims, stopping at fifty. “Lucius, where did you get this House-elf?” - Bella snorts, throwing back her smol curls and twirling her magic wand between thin fingers. She was one of the most ardent opponents of our marriage with Narcissa, and when the exact date was confirmed, she was ready to practice the Crucio on me. Such a feeling I was happy with Cissa alliance. Of course, it was predetermined long before last year, when I handed the family ring to Narcissa, served as proof of my love and loyalty. Frankly, this is not such a bad union for me. Our families have long made a deal. And thanks to Merlin, that I got Narcissa, not Bella. If it were the eldest sister of Black, we would have killed each other. “What is heard about the Order of the Phoenix?” - answered Dolohov, who recently joined our rout. Without hiding my complacency, I take a sip of red wine, never taking my eyes off the main informer on whom Voldemort was so counting. 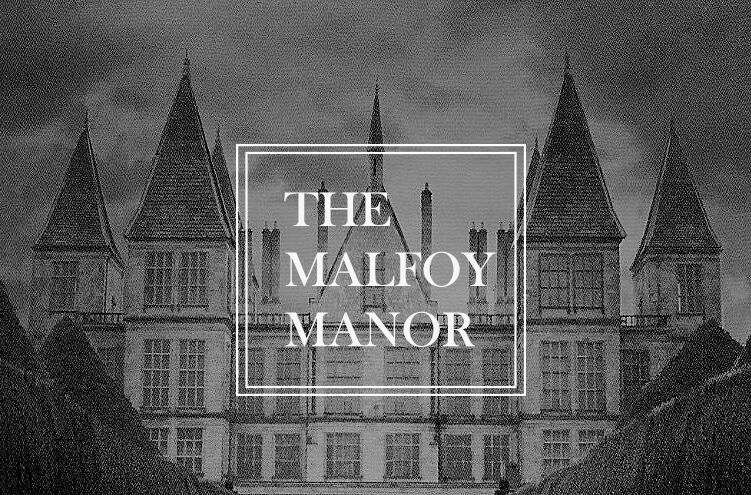 Knowing Dolohov, he would certainly have launched a couple of prickly spells into me, but in the living room of Malfoy Manor silence reigns for a few seconds. My wife deigned to honor us with her attention and I confess that today she was incredibly beautiful in her long emerald dress. Immediately I give my hand to Narcissa and accompanying her to a round table. Strange, but I started to get used to her. To the presence of a woman in my life, as to something inherent. She is very beautiful, she is so intelligent and she will be a wonderful mother of our son or daughter, our heir. And if it were not for the pressure from the parents, I would surely fall in love with her. Bellatrix immediately jumped when she saw her sister in good health with a faint smile. She expected that Cissa would rush to her chest to cry for all about how Malfoy humiliates her, so that all of them, all of Death Eaters would convict me on the spot and sentenced to death. However, my wife is cold and restrained, as always. She sits down in her seat, dropping her wand on the table. “Oh, come on, Greyback. All you know Lord Voldemort doesn't trust anyone like me” - a sharp look at Bella, - “and my family” - gentle look and smile for Narcissa. Despite the fact that we have one goal, there will never be trust between us. For Voldemort, we are just a tool in this war. It is not known how it is finished and whether it is finished at all. Dumbledore is old and weak, he will die, but his followers won't give up. The lousy Gryffindor graduates are too loyal and proud to side with the strong side. To our side.